This Carrot Cake is moist and yummy, and best of all, it's vegan! 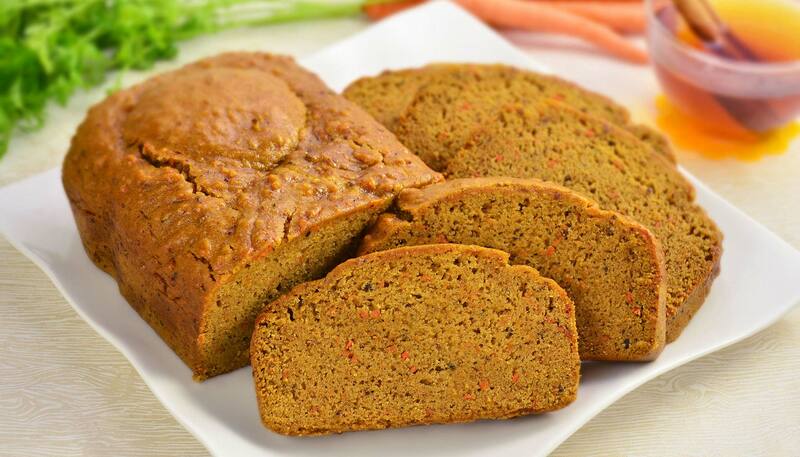 Try this recipe when you have lots of fresh carrots, it's guilt free and gluten free, too! These ingredients are for this model. 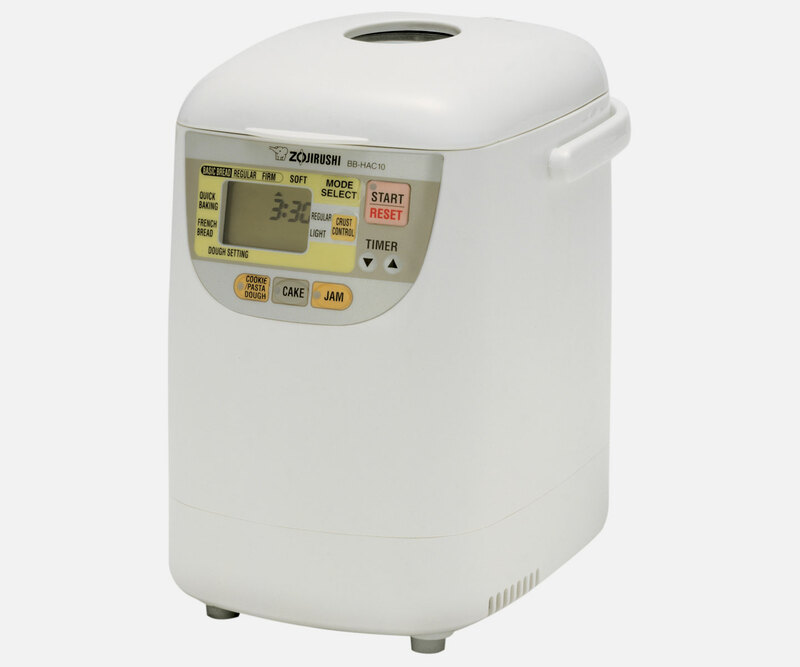 If this is not your breadmaker, please select from the available models below. In a small bowl, add flaxseed meal and hot water and let stand 10 minutes. In a large bowl, mix the flour ingredients (white sorghum flour, brown rice flour, potato starch, tapioca flour, xanthan gum, baking powder, baking soda, ground cinnamon and ground nutmeg) and sugar well with a whisk. In a separate bowl, mix flaxseed meal solution, apple sauce, olive oil well with a whisk. 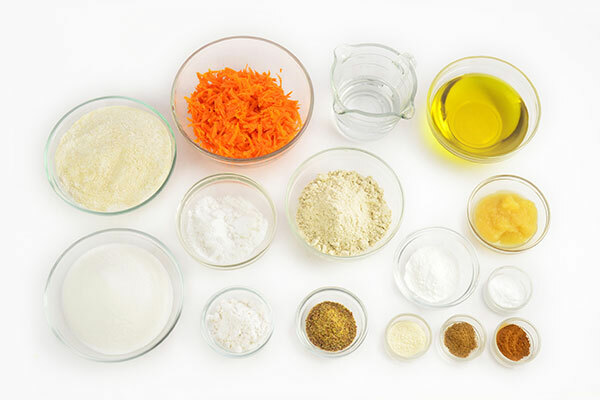 Add the shredded carrot. Make sure the kneading blade(s) are properly attached, and pour into the baking pan. Add the flour mixture from step 1 into the baking pan. When add beeps sound, open the lid and carefully scrape off any flour that may be left on the side of the pan with a rubber spatula. Please be careful if the kneading blade(s) is moving. Close the lid and continue baking. 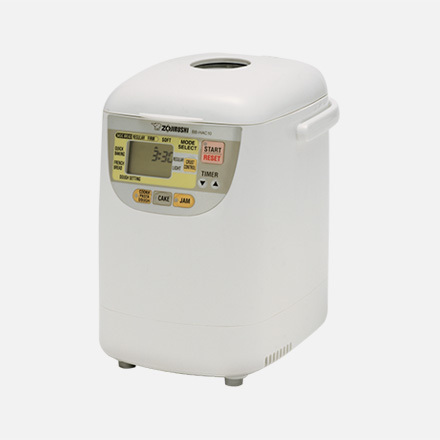 For BB-HAC10, BB-PAC20 and BB-PDC20 models, press START to resume kneading. When baking completes, press CANCEL and remove from pan. Allow to cool before slicing and serving.